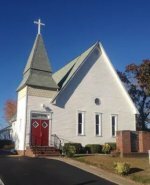 The Delaware Conference has a total of thirty-four (34) local churches of which fourteen are located in the Wilmington District and twenty (20) are located in the Dover District. Reverend Richard Worthy is the Wilmington District Presiding Elder and Rev. Ellis Louden is the Dover District Presiding Edler. 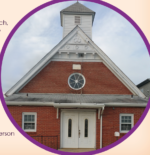 Our mission is “TO FOSTER THE DEVELOPMENT OF THE CONGREGATION AND NEIGHBORHOOD AND ENHANCE THE QUALITY OF LIFE FOR ALL GOD’S PEOPLE THROUGH WORSHIP, INSPIRATION, SOCIAL NEEDS AND DISCIPLESHIP.” We believe that the greatest response to the grace, favor and mercies of God is to be an extension of His beneficence. Therefore, we offer to our members and the greater metropolitan Wilmington community a diverse and broad selection of ministries and initiatives. These ministries have been strategically developed to holistically minister to the individual spiritually, physically and socially.